For every great producer there is a great engineer. The art of mixing, recording, editing, and arranging a song is one that takes extreme time and patience. With the push of a button, an engineer is in control and one of the key players in how fans and consumers listen to music in the clubs, on the radio, and in their homes. That is why when you’re currently one of the biggest music producers in the world, like DJ Mustard, you need the right person behind the boards to help craft a particular sound and turn your product in to a global hit. I first encountered James Royo around 2009 when we both worked at Studio Center Miami in Miami Lakes, Florida. Although we don’t personally know each other, I have followed his career over the years via social media and have always admired his success and accomplishments. 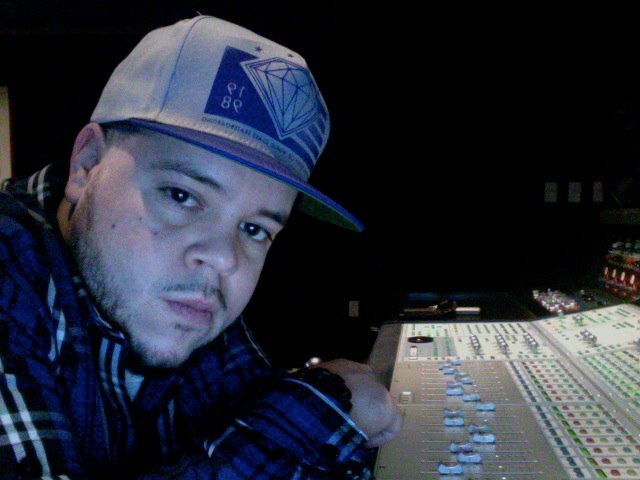 Currently, Royo is deeply immersed in hottest sound in hip-hop, yet incredibly humble and knowledgeable in his craft. I hope you all enjoy this interview! Congratulations on all your success, James. For those who don’t know you, can introduce yourself and you give us a timeline on your career in the industry and how you ended up primarily working with DJ Mustard and Y.G.? We’re midway through 2014, and it doesn’t seem like you and the team have any plans on slowing down. How does it feel to hear the music you are a part of all over the radio and clubs and overall impacting the current state of hip-hop? You know, it’s a great feeling. It’s obviously what we all dream of being in music; to be the most popular in the industry and have everyone want to work with you and respect you. It’s a great feeling when people appreciate your music, and I got lucky that I linked up with people that were going in the right direction and I wanted to be a part of it. Like I said before, even before the music, it was about the people and the relationships that I had with Y.G. and Mustard. They are real good people, and they believe in karma, and know what’s right and wrong, and that’s the kind of people I like to work with; the rest takes care of itself. 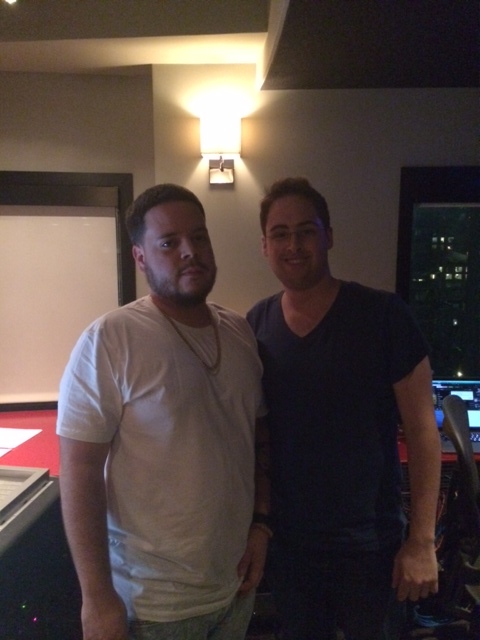 Obviously DJ Mustard is having an incredible year and Y.G. finally got the support of Def Jam and put out one of the best albums this year [My Krazy Life], but what you do is a key part of their success. With that being said, how have things in the industry changed for you and what types of opportunities are now being presented? Well, my life has changed dramatically. I started at the very bottom and was able to work my way up to be the engineer for the top producer in the game right now. You know, I’m not only the engineer, I get to mix all the records too, which is very very fortunate because it’s a very hard circle to get in to. Luckily my brothers Mustard and Y.G. really believe in me and have given me the confidence to know that I can mix with the best of them. We’ve had our records mixed by the top engineers and then I’ll mix it too, but we’re happy with my result in the end. A lot of that has to do with confidence and having people tell you that they believe in you and you’re just as good as other people that you might look up to. Sometimes experience doesn’t matter, it’s about putting your heart in to all the records and I hope people can hear that when they listen to the songs. 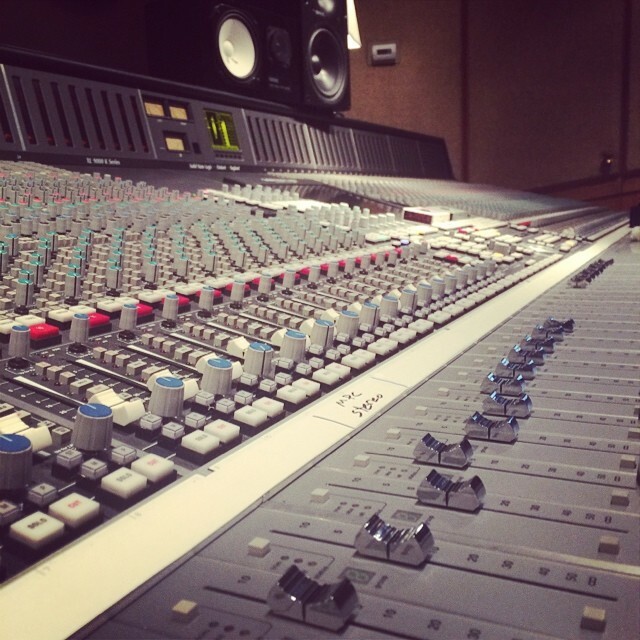 Of course experience is what makes someone great at what they do, and I think your track record speaks for itself; when you’re in a recording session or mixing someone’s single, how do you approach that record? I definitely approach every song pretty much the same, I don’t change it based on who I’m working with, whether it’s a big artist, small artist, male, female, etc. – I mean, you do have to change it a little to fit the artist, but you don’t want to go too far from what they are trying to do. Basically, I just try and make the song the best way that I can and record everything as clean and properly as possible. But you never know, you can do a song with a big person and you think it will be big, but it’s not, then you do a song with a regular person and that one blows up. Just do your best work, because someone is always listening. Is there a particular song you are most proud of that you worked on? Honestly, all of them. There are songs that people will probably never even hear that I’m proud of and they are great songs. Like I said, I’m proud of all the songs. When a song first gets big like “My Hitta,” which went platinum, that to me is a special record and was a cool experience. Speaking on “My Hitta” and your experience mixing the other singles including “Who Do You Love” and “Left, Right,” can you talk about the process of making My Krazy Life? You know, the way the album was conceptually done and sequenced, Sickamore and Y.G. really put together of the top albums of the year. Like you said, Sickamore, Y.G., and Mustard had a vision and my job was really to just help make that vision come to life and make it cool, creative, and entertaining as possible. At the same time, not stray from their vision, which is straight vision that doesn’t have to be complex. Sometimes it is better to keep it raw and try and polish it so that it can go platinum. … And they were able to find a great balance between street and commercial without taking away from the story telling aspect. Exactly. Y.G. is just doing the music he knows how to do and it was just put together really well so that everybody can really appreciate it. If you go back and listen to Y.G.’s mixtapes, you know he’s been doing this music for a long time and that’s his style. The thing about it is that he didn’t have to go out and find a sound, he just gave his life story and did him, and it worked. Besides having a relationship with Mustard and Y.G., to have a relationship with MixedByAli too, especially when TDE is at the top of hip-hop, I’m sure you’ve been able to take away some incredible knowledge just sitting with him in the studio as well. Absolutely. Sitting with both Ali and Terrence Martin, who know exactly what they are doing in the studio, just helps you build your confidence. Right now, everybody’s winning and it’s just a fun time and it’s happening naturally. Every year there’s always the “go to producer” in hip-hop and right now it’s DJ Mustard. From someone who works with him on a day-to-day basis, how do you guys make sure that the sound you are creating stays relevant and not overdone? You always want to be careful not to over saturate, but at the same time, this is the sound the Mustard has created for years. For as long as I’ve known him, this has been his sound and he’s sticking with it, and the industry is coming to him. Of course now we’re trying to progress it, and we’ve been working with a lot of producers, musicians, and writers across the board to make the highest quality music possible and put our everything in to it. 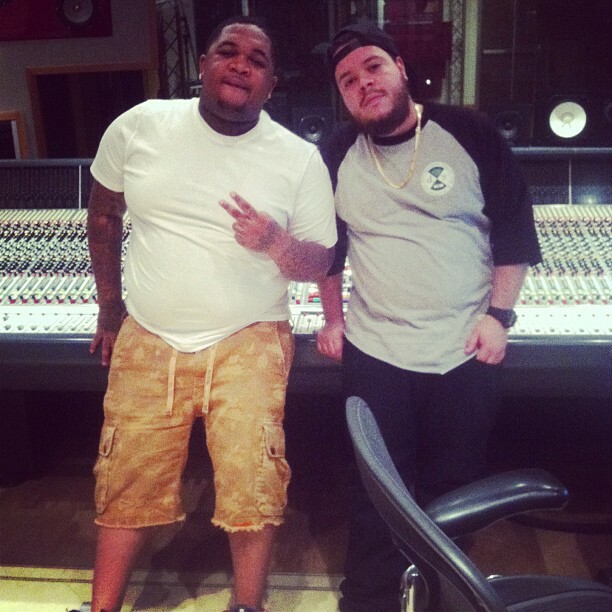 You know, if DJ Mustard is serious about this “10 Summers” campaign, that’s a nice career for you, too! Yeah! “10 Summers,” that’s the truth right there. The album is coming out soon and that’s what we’re looking forward to. It’s incredible; it has all the hottest rappers in the country, so that’s the main focus right now. Everybody wants to be a part of the music industry these days, and I’m sure people ask you all the time to either listen to their music or pass it off to the artists your work with, but what would be your best advice to someone trying to make it in this game? Make everything your best work and try to make it the best song you’ve ever heard. Don’t be scared to have the engineer try stuff, take out certain sounds in the beat, etc. I arrange a lot too – I help Mustard – we all help each other. And you know what? If it’s wack, hopefully the people in the room with you will tell you. Once you make a decision stick with it! How can people get in contact with you if they are interested in your production or having you mix their song?